The Hillhurst Sunnyside Farmers’ Market is proud to be a hub for our community, taking our good food community beyond access to local food, and into education and connection. We hope you have felt the shift this year with our Speaker Series’, special events, bike valet and more. 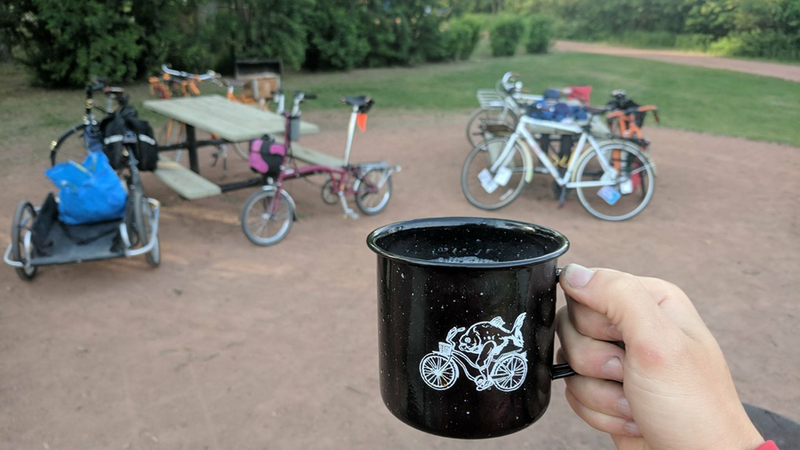 One of our favourite additions to our Farmers’ Market family this year is our community-led cycling group. Each week, community member Rory Allen hosts ‘Pedal Powered Picnic’ from our Farmers’ Market. 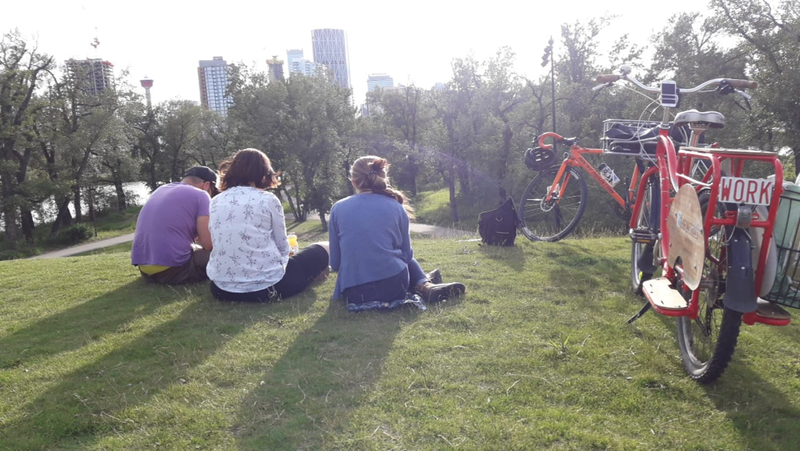 Participants meet at market at 6:30pm to grab picnic supplies and hangout before riding off together to a nearby park. This is an open group that anyone looking to connect with new friends, and live a healthy, active lifestyle is welcome to join. We are so happy to have Pedal Powered Picnic adding to our ‘good food community’ at the Farmers’ Market! You can also stop into the free Lifesport bike valet and tune-up tent and get a once-over on your bike before you ride off. All ages and riding levels are welcome in this casual community group. We cycle as a group making sure everyone is comfortable and leaving no one behind. The group works together to have a safe ride and promote awareness on the road, but please take your own safety precautions including wearing a helmet, and having lights for your bike. Pedal Powered Picnic can be found on Facebook, and will be running for the entirety of the outdoor Farmers’ Market season (last outdoor day October 11th). Join us!